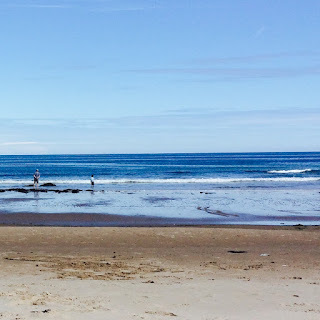 Although the beach can be a challenge for us - it can also be great. 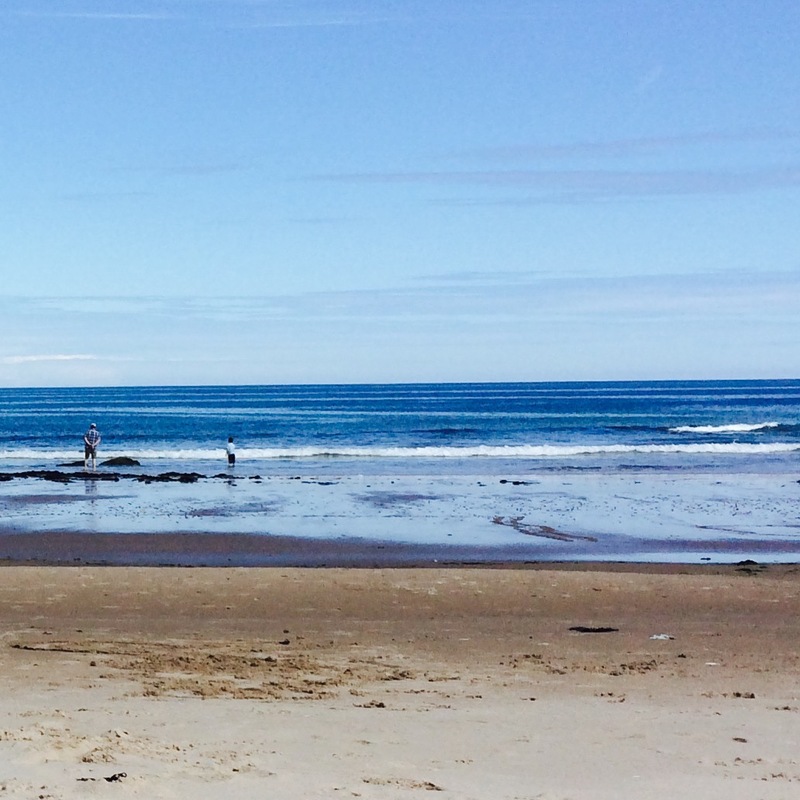 Quieter beaches are better and these can often be rocky. So we use what we have and have spent many summers up at my parents place on the North Coast of Scotland, stomping around the rocks finding creatures in the shallow waters. 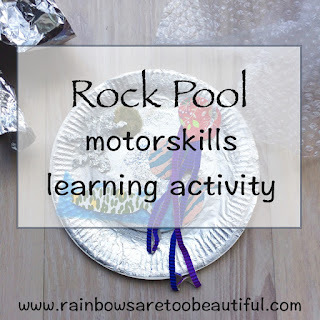 All the kids have fun and to either prepare or to revisit this, we had fun making our own 'rock pool' with this fun motor skills learning craft activity. As autistic boys, both Anthony and David are very interested in what's going to happen or go over what's happened. It's part of their learning routine to think about what happened today. 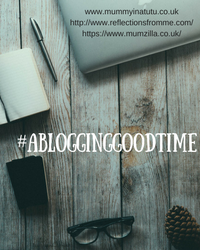 Many people with autism feel comforted by routine and this is certainly the case with both of them. 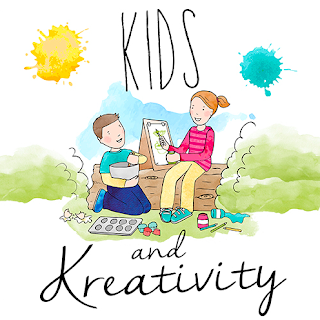 We can go over simple words and signs with David, and also chat with all the kids about what you find or may find in rock pools and other things too, like you can't drink the water! Many people with autism also have fine or gross motor skills challenges which means balancing along the rocks can be good practice for them. 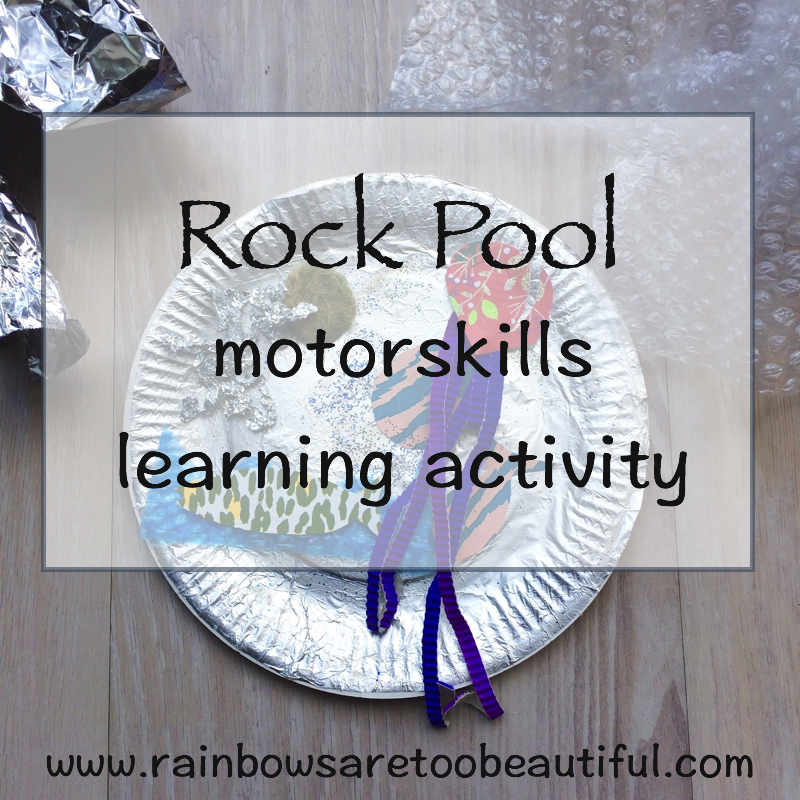 This fun craft activity combines the thinking about rock pooling and using their fine motor skills too. To make your rock pool, cover the paper plate in glue and wrap it in tin foil (you could try using recycled tin foil too). This is your basic rock-pool. Then simply fill it with what you might find. 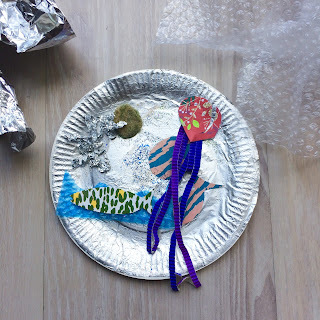 We made fish out of wrapping paper, a jelly fish and a muscle out of the sponge fuzz and some shiny silver star fish made out of squashed tin foil. Then we stuck them all down with a little glue. When making the rock pool, place the items around the table. 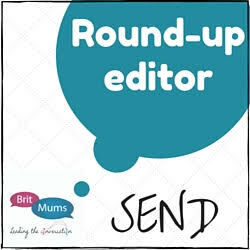 This will encourage the child to cross their mid line - stretching their hands across the middle of their body to use them. 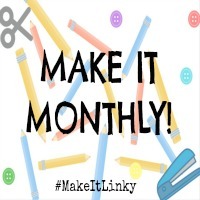 All gluing will encourage bilateral motor skills (using two hands together) by holding the paper and then gluing with the other hand. When you've finished with your rock pool, recycling it's various parts is another lesson to go through. It helps to use just a little glue so it can easily come apart again. We had great fun - what would you put in your rock pool? 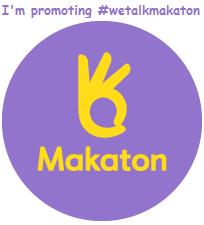 This post is supporting the Makaton Charity #wetalkmakaton sign of the week. You can also find their free Makaton resources for the beach.